The small wars of the Marine Corps play an important part in Marine Corps history - and a provide a foundation for understanding modern-day irregular warfare and counterinsurgency operations. "Irregular Warfare is defined as "a violent struggle among state and non-state actors for legitimacy and influence over the relevant populations... It is inherently a protracted struggle that will test the resolve of our Nation and our strategic partners." This quarter’s PME covers the small wars of the Marine Corps, which are historically referred to as the “Banana Wars”. The Banana Wars cover the period from the end of the Spanish American War in 1898 to the inception of the “Good Neighbor Policy” and removal of American troops in Haiti by Franklin D. Roosevelt in 1934. This period was marked with numerous interventions by the United States into various Caribbean and Central American countries to protect American interests. These interventions helped develop the concepts and ideas that went into the Small Wars Manual, first published in 1940. The Banana Wars also became a proving ground for the NCOs and Officers who would lead Marines into combat during World War I (WWI). Two such examples are Sergeant Major Dan Daly and Major General Smedley Butler. These Marine legends both earned Medals of Honor (MOH) for their actions during the Banana Wars. Dan Daly earned his second MOH for actions in Haiti. 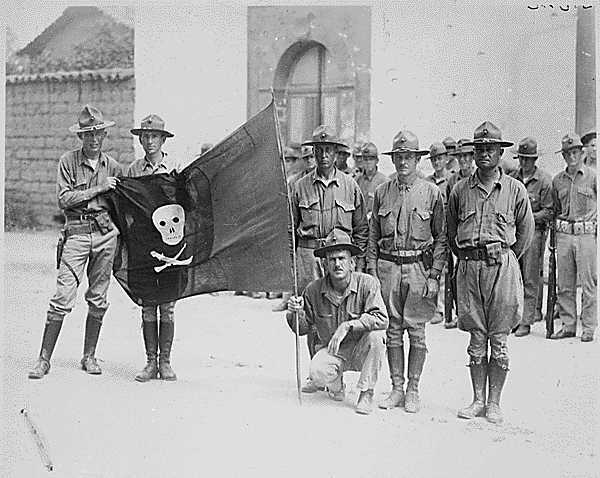 Smedley Butler earned both of his MOHs during the Banana Wars with one earned in Vera Cruz, Mexico and the second earned in Haiti. These Marines exemplified the experiences and actions that the Corps took with them into WWI. in Nicaragua in 1932. Official USMC photo. 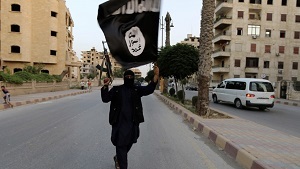 A member of ISIS waves an ISIS flag in Raqqa, Syria. Credit: Reuters. The second part of this QPME expands the ideas put forth within the Small Wars Manual that are used in the current ideas of irregular warfare (IW) and counterinsurgency (COIN). The concepts of IW and COIN have received renewed interest in recent years due to the Global War on Terror and the rise of Islamic State. Many contemporary articles have been written on these subjects and we have tried to include a broad selection of these on this site. The Marine Corps' unique heritage in fighting small wars and its role as America's expeditionary force will continue to ensure the Marine Corps a role in these types of conflicts in the decades to come.